Whatever you say, Mr. Billboard! So I’ve spent a little time recently browsing through r/simpsonsshitposting and since most of the posts revolve around old episodes (which I know like the back of my hand) I catch every stupid reference and get a laugh. 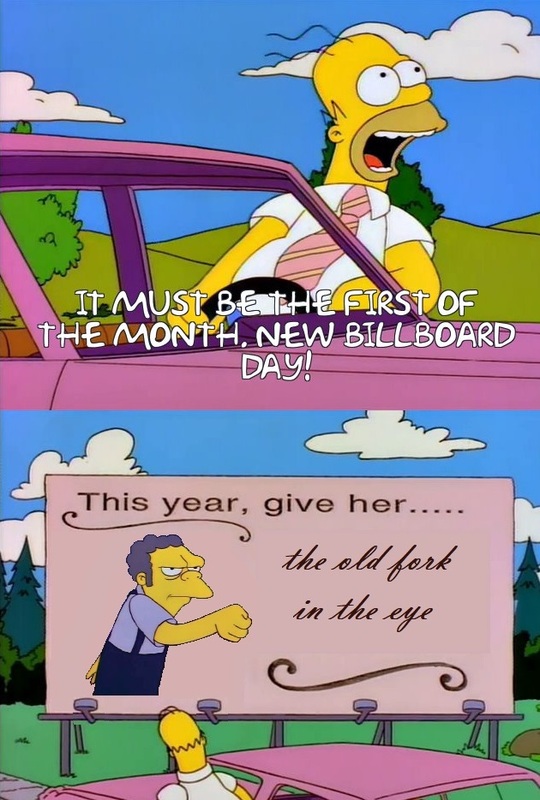 And now… the laughter has made me a monster and I’ve made my first Simpsons shitpost. I’m afraid to admit I spent far too long making this and now I need a shower. This entry was posted in Simpsons Shitposts and tagged Shitpost, Stupid, The Simpsons. Bookmark the permalink.